It was a brilliantly hot sunny day in Hong Kong – perfect weather for my first tasting of wines from Japan, a wine producing region I know very little about. Grace Wine of Japan with Northeast Wine & Spirits presented a tasting of two wines made from the Koshu grape, a Chardonnay and a red blend. 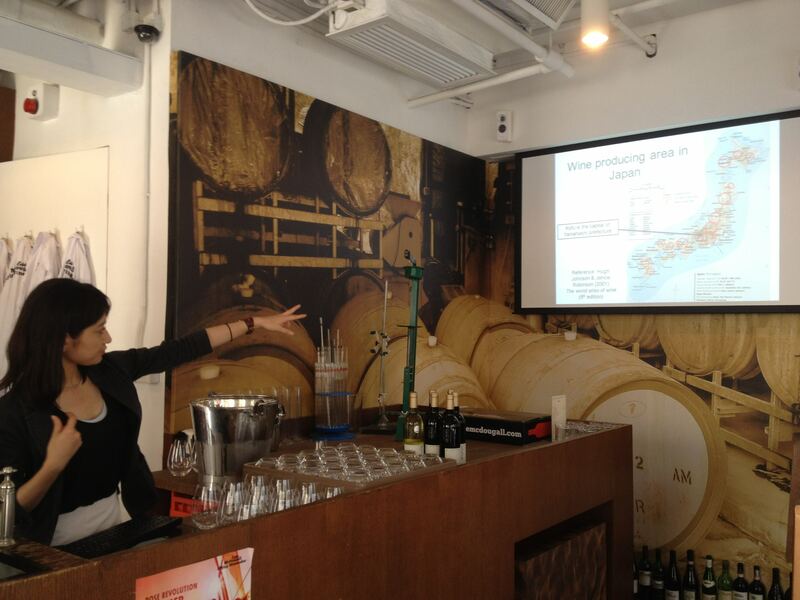 We were very fortunate to have the charming Ayana Misawa, chief winemaker at Grace Wine, with us to present the wines. 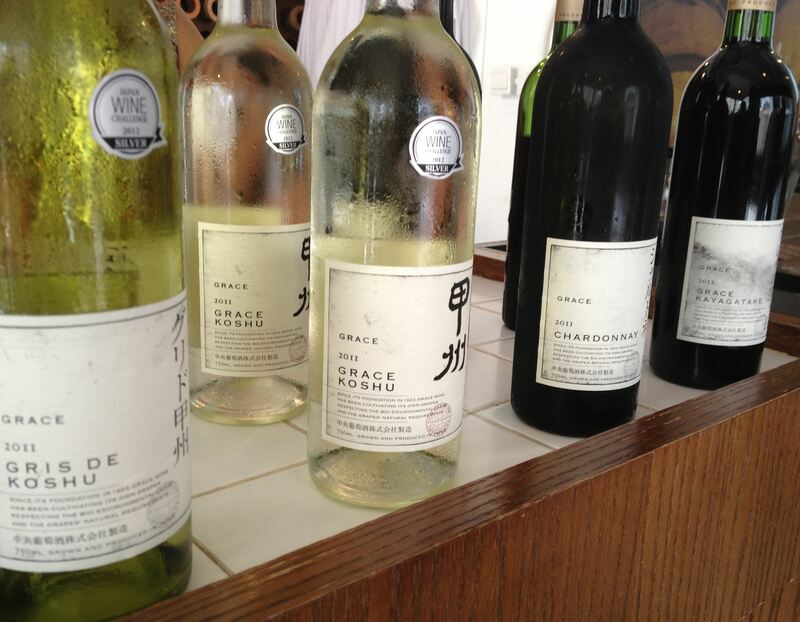 Located in Katsunuma  in the Yamanashi Prefecture, Grace Wine was founded in 1923 and has remained a family run winery since inception. Ayana Misawa, the fifth generation of this family works alongside her father Shigekazu Misawa and together they have been instrumental in bringing the Koshu grape to international attention. Katsunuma lies north of Japan’s highest mountain, Mount Fuji, which acts as a shelter from the rain providing the region with comparatively low rainfall. 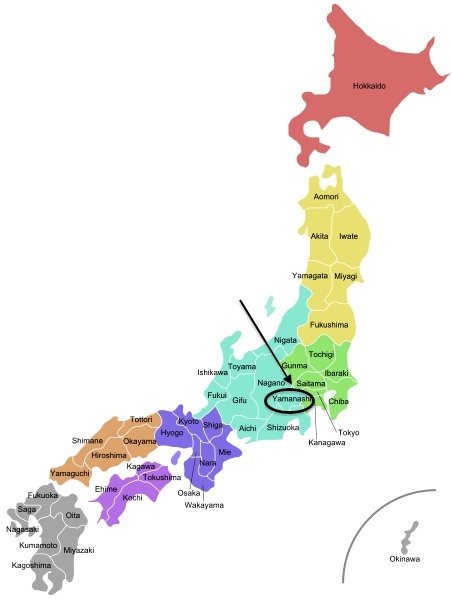 The Yamanashi Prefecture is landlocked and the wineries in Katsunuma enjoy long hours of sunshine and a wide diurnal temperature range (i.e. the difference between temperatures during the day and at night). These conditions are ideal for wine grape growing and Katsunuma has over 90% of the Koshu wine production in Japan . 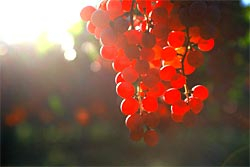 The Koshu grape produces berries of a pink, grey colour and was first cultivated in Asia Minor more than 1,000 years ago. When winemaking began in the late 19th century in Japan, Koshu quickly became the most widely used grape. Delicate notes of white flowers, golden delicious apple and white peach together with spicy notes of white pepper were my first introduction to Koshu. The Gris de Koshu was fresh and crisp but also moreish – the kind of wine you not only want to drink more of but that immediately makes you think of all the foods it would go with. Flavours of white peach, fresh snow pea and white pepper finished with a racy acidity. This would match perfectly to barbequed or steamed white fish – delicious! The Koshu 2011 is comparatively more refined where the aromas and flavours are a touch more subtle and integrated. The white pepper is less prominent on the nose and the palate, where citrus notes sit alongside sweet honeysuckle and peach. Interestingly the Gris de Koshu is the entry level wine and is bottled under cork while the Koshu 2011 is from the premium collection and is sealed under screw cap. When speaking with Ms Misawa about this she confirmed that the clear preference for the Japanese consumer is to have a wine under cork. Presumably a screw cap is used for the premium collection to ensure the delicacy and freshness of the Koshu is maintained, while acknowledging that the typical consumer of this level of wine might be more accepting of a screw cap. The other wine that caught my attention was the Grace Kayagatake Rouge, a blend of Muscat Bailey-A, Cabernet Sauvignon and Merlot. Muscat Bailey-A is a grape developed in the Niigata Prefecture by Zenbei Kawakami and is widely used in Japan. In first smelling the wine we noticed an aroma of sweet strawberry, which Ms Misawa confirmed was due to the Muscat Bailey-A grape. Behind this sweetness were notes of blackcurrant and cherries. The sweetness of the aroma from the Muscat Bailey-A belied the flavours of sour cherries, blackcurrant leaf and pepper on the palate, altogether more savoury on the palate than expected. For my first taste of wines from Japan I would rate it as highly successful. With the summer months upon us I foresee more than a bottle or two of Koshu being consumed in our household. Fortunately Wine’N’Things have both the Gris de Koshu and Koshu 2011 available and for those of you not in Hong Kong you can find a list of distributors here. Pale lemon colour. Aromas of white flowers, white peaches and golden delicious apples. On the palate a medium body and medium plus acidity with flavours of white peach, fresh pea and white pepper. Pale lemon green colour. Aromas of ripe white peach, lemon and honeysuckle with a hint of white pepper. On the palate a medium minus body with medium plus acidity and flavours of lemon, white peach and subtle notes of white pepper. Pale lemon colour with soft pale pink hues. Aromas of banana, confectionary and Barlett pear. On the palate yeasty flavours alongside pear and subtle fresh lemon. Pale purple colour. Aromas of sweet strawberries, blackcurrants and sweet red cherries. Medium body, medium minus tannins and flavours of blackcurrant leaf, sour cherries and black pepper. Japanese wine – it sounds delicate and lovely. I’m a hearty Syrah and Zinfandel person myself, but these are intriguing. If I get a chance to try them, I might just do that! Thanks.